For 30 years, my friend Robin has run with the bulls. His first time was in Pamplona, the capital of the Navarra region in the north of Spain, for the annual nine-day July Festival of San Fermin. 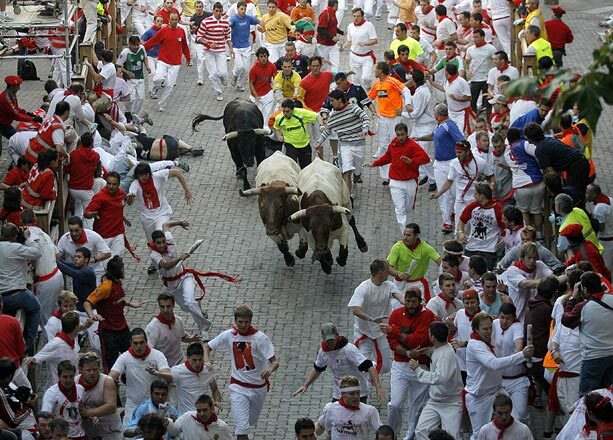 People from all over the world converge upon this medieval city, dressed in white with red scarves, to run a half mile alongside bulls headed to the bullring. The bulls easily weigh over a thousand pounds and part of the allure of running with them is the adrenaline-pumping thrill and danger involved, for those who like that sort of thing. By the end of the summer of 1982, Robin had run 40 bull runs all over Spain. The last one was in the small Navarran town of Sanguesta. “We were running along narrow streets with nowhere to escape if a bull decides to turn on you." Robin told me. "And that's what happened. . .” I'll spare you the 'gory' details (and yes, he did get gored) but, thankfully, Robin lived to tell the story and was back in Pamplona the following July to face his fears, don his white and red and run with the bulls again. 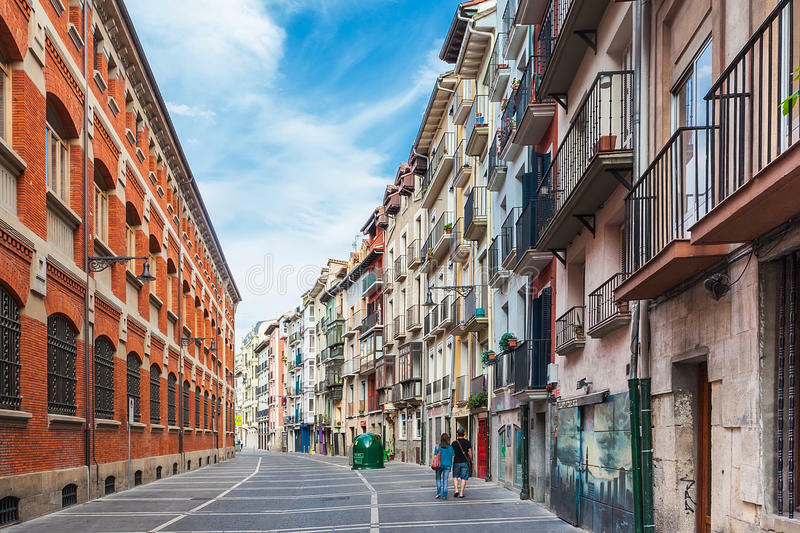 While I wouldn't have the guts to go running down narrow streets with excitable bulls, there's something about Pamplona and the whole region of Navarra that awakens the soul and keeps people returning year after year. A major draw is the famous Camino de Santiago (the Way of Saint James), a medieval pilgrimage route that runs east/west through the whole northern part of Spain, winding its way through Pamplona and the Navarran countryside. In the distant past, the pilgrimage was a religious one. Nowadays people from all over the world walk, cycle, ride horseback and drive along the route for a variety of reasons, whether for health, spiritual enrichment or as a unique vacation. Pamplona is a charming and historic city that has been the capital of Navarra since the Middle Ages. You can easily spend several days wandering the narrow cobblestone streets with their brightly painted houses and intricate wrought iron balconies. There are many museums, monuments and gothic-style churches and several parks to relax in and admire the greenery. Pintxos (stemming from the word 'pinchar' which means 'to pierce') typically has a toothpick to keep its food from falling off the slice of bread. Above, roasted tomato with garlic, green pepper and Roncal cheese. And then there's the food! The richness of the Navarran land (known as the "Garden of Spain") yields many flavorsome meats and produce — lamb, beef, game birds, foie gras, nutty, buttery cheeses like Roncal and Idiazabal, white asparagus, piquillo peppers, and artichokes. I could go on and on! What an extraordinary bounty of food. Plan ahead to visit one of the sophisticated and elegant fine-dining restaurants in Pamplona, three with Michelin stars: Rodero, Europa and El Molino de Urdániz. 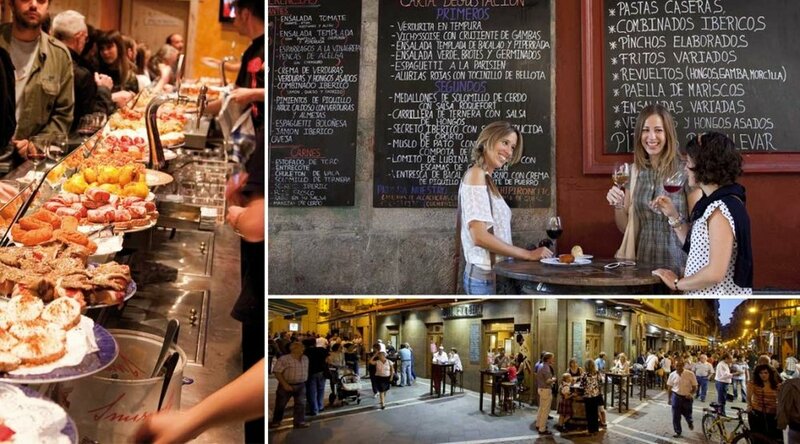 Or stop in at one of the casual "pintxos" (tapas) bars to refuel with an assortment of small plates. Visit the Navarra Wine website to discover the best spots for pintxos lovers. No matter where you dine, you'll be partaking in a centuries-old Navarran culinary tradition of enjoying lengthy meals in the company of friends and family. What goes hand in hand with delicious cuisine? Wine, of course! Any trip to Pamplona should include a visit to the stunning wine region nearby. The Navarra DO (Denomination of Origin, created in 1933) is bordered to the west by Rioja, but has its own distinct culture made up of family-owned wineries, all within an hour's drive of Pamplona. The wineries are near historical places of interest, many along the Camino de Santiago, and they all welcome visitors. 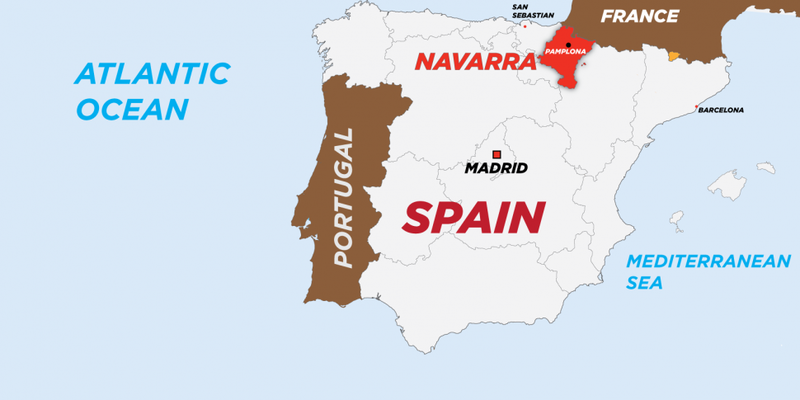 Why are the Navarran wines so unique? It's due to an unusual coming together of three climates — Atlantic, Continental and Mediterranean. The combination of varied weather patterns, along with a diversity of soils and a range of altitudes, results in many styles of distinctive, terroir-driven wines. You'll find well-balanced, food-friendly wines — red, white and rosé — made from indigenous grapes (Tempranillo, Garanacha and Viura) as well as from international varieties (Chardonnay, Merlot and Cabernet Sauvignon). These wines will surely get your appetite going! Luckily there are exciting new restaurants with imaginative cuisine and superb wine lists popping up all over the countryside, whether you're in the mood for an afternoon snack or a 5-course tasting menu. While you may or may not be inclined to run with the bulls (I, for one, am not!) it's easy to see that Navarra is a wonderful destination for its culture, its food and its wine. 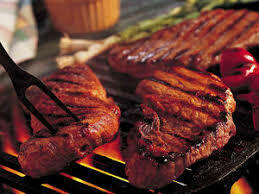 Start planning your trip to Navarra, and, in the meantime, try out my recipe for Navarran Style Grilled Ribeye Steaks. I received seven sample wines from Vinos D.O. Navarra and, overall I thought they were enjoyable, well-made wines and an amazing value, all retailing for under $20. Below are suggested wineries to visit along with tasting notes of the wines. Wineries To Visit/Tasting Notes: Click on the name of the winery to find out more information about visiting. In the medieval town of Olite just 40 minutes from Pamplona, the winery is now led by daughters of Javier Ochoa, a well-known winemaker. Adriana is the winemaker and Beatriz is in charge of international sales. 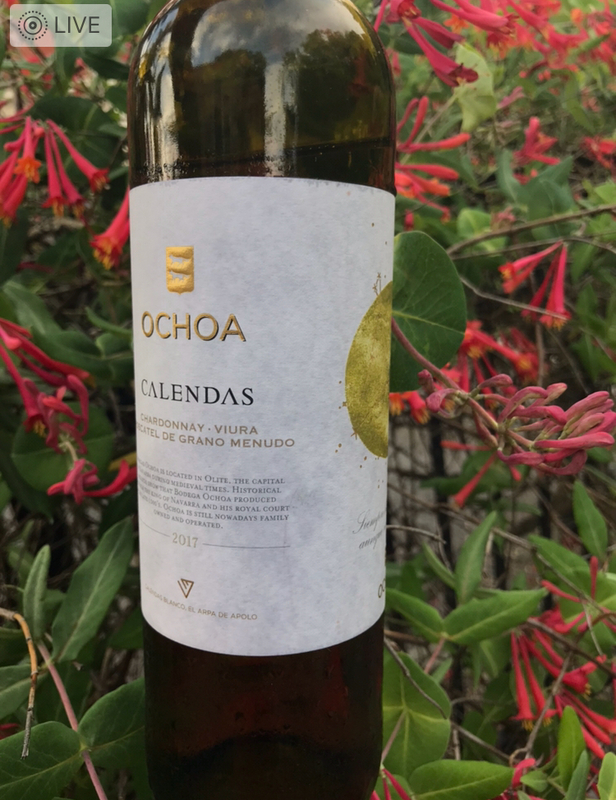 Calendas Blanco 2017 (10.99) This fresh, lively and fruity white wine is made from 70% Viura, 23% Chardonnay and 7% Muscatel. A light-colored, straw-yellow wine with a touch of green with aromas of lemon meringue pie. The initial lightness on the palate – zippy acidity with lemon/lime zest flavors — gives way to a more luscious mid-palate roundness. The Muscatel gives it subtle floral notes and the flavors linger long after the last sip. The winery is situated along the famous Camino de Santiago pilgrimage route. La Cantera, Garnacha 2016 ($12) A beautiful ruby red color and wonderful aromas of fresh fruit, this wine entices you to take sip after sip. Silky tannins on the palate with delicate fruit and a touch of spiciness. The wine would be perfect with chicken, pork, fish and vegetable dishes. El Cerezo, Unoaked Chardonnay 2016 ($12) This aromatic, fruity wine has a lovely creaminess on the palate. Well-balanced with nice acidity, I drank this wine over the course of a few days and enjoyed it each time, alone and with cheeses. The winery's vineyards are along the Camino de Santiago. Inurrieta Orchidea 2017 ($13) This Sauvignon Blanc is light, lemony and refreshing. The kind of wine you would want to drink on a hot summer afternoon out by the pool. Cuatrocientos Crianza 2014 ($18) This blend of Cabernet Sauvignon and Merlot is a slightly darker color than the other red wines I tasted but still a bit translucent. Medium-bodied and with silky tannins, this wine is all about its fresh fruit flavors. Just 30 minutes from Pamplona and one of the few Spanish wineries raised to the quality level of "Pago" status. The winery has a spectacular private collection of art. Otazu Chardonnay 2015 ($11.99) A delightful light golden yellow color, this wine is round and creamy on the palate with a slight oiliness. There is a distinct, yet subtle flavor of honey on the finish that enticed me to keep on sipping! Otazu Premium Cuvee 2013 ($13) A gorgeous deep garnet red color rimmed with brick. The aroma was reminiscent of eating cherry pie at a campfire, both fruity and smoky. This medium-bodied wine is very dry and savory with big fruit flavors and a little spiciness on the finish.